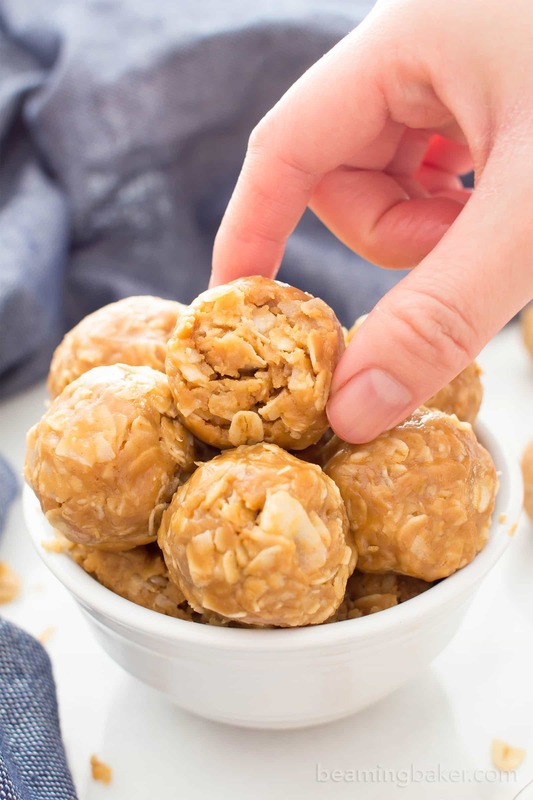 4 Ingredient No Bake Peanut Butter Coconut Energy Bites (V, GF): a quick ‘n easy One Bowl recipe for tasty protein-packed energy bites bursting with peanut butter and coconut! 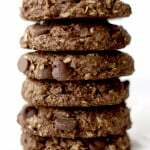 Vegan, Protein-Rich, Gluten-Free, Dairy-Free, Whole Grain. 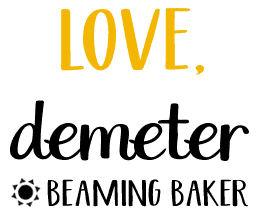 Have you ever wondered what the top, most popular, most visited, and well-reviewed (yes, they’re the same, THANK goodness) recipes are on Beaming Baker? If you said yes, then check out my post from last year about the Top 10 Recipes of 2016 on BB. 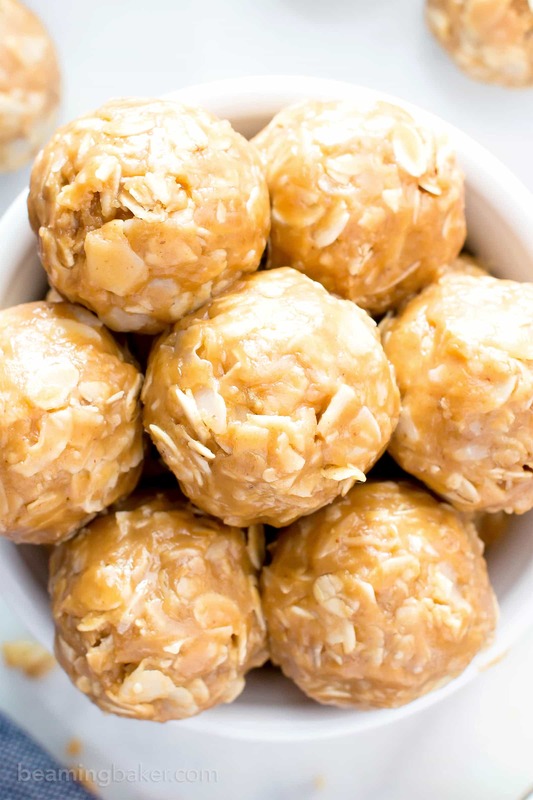 If you said these 4 Ingredient No Bake Peanut Butter Coconut Energy Bites, then I hope that was an awesome, futuristic prediction you made for 2017. Yeah!! And… how did you do that? Well, funnily enough, one of those top posts is a no bake recipe. Alright, if you’ve been a BB reader for awhile, you might be like, DUH!! Um, obvs. Or, giving me some kind of raised eyebrow-side eye, like girlfriend, that’s more obvious than which side of a spatula to use. Okay, Erik just suggested I write that. Is that obvious? Like, REALLY obvious to everyone? Also, what a weird suggestion right? 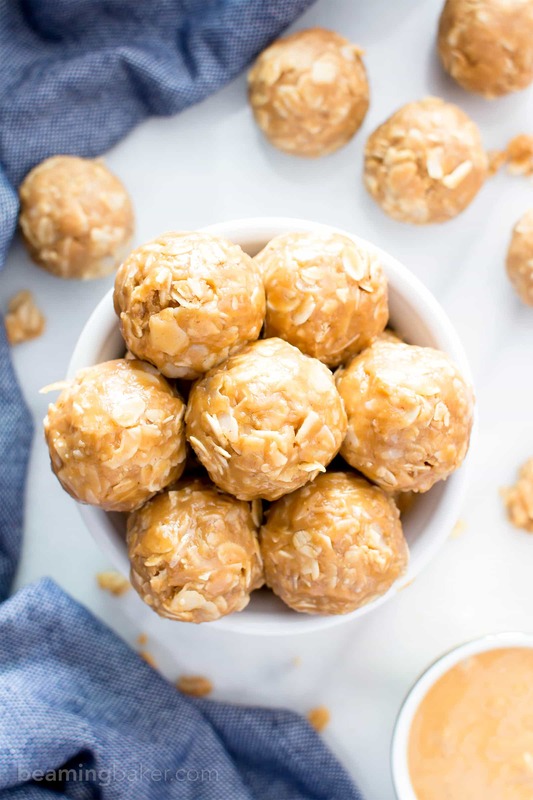 And while I try to nonchalantly deflect those side eyes and duh’s (and furrowed brows over the spatula side usage), allow me to tell you what that most popular recipe is: No Bake Peanut Butter Coconut Bites. Surprised? Aw, come on! For old time’s sake? I was quite surprised, but abundantly pleased. Apparently, folks love easy, simple and quick recipes. Can you imagine? 😉 Alright, that’s enough sarcasm for today. Anywho, this recipe takes me back to the old days… back before this blog existed (okay fine, that was only a little over a year and a half ago)… but even further back, when every day seemed like endless meal prep times a million. I was struggling to make healthy, whole food snacks for my mom, Erik, me and, for care packages, my sisters. 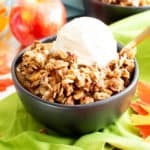 It was super challenging to find recipes that were healthy, but also easy to make, and not chockfull of very hard-to-find and ultra-expensive ingredients. It’s one of the main reasons why I started this blog. 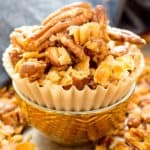 And the reason why I created those no bake peanut butter coconut energy bites to begin with. But after a year and a half of creating recipes all day, every day. After spending more time in the kitchen than outside. I realized, there could be an even easier version of those beloved bites. 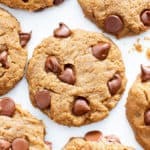 I’d create a version with basically the same cozy, comforting taste that you all love: like honey-roasted peanuts (but plant-based, of course), like your favorite peanut butter cookie, but with coconut goodness bursting throughout, like my favorite 1-year anniversary peanut butter coconut cookies, but in no-bake, energy bite form. But with even fewer ingredients. Make that just four ingredients. 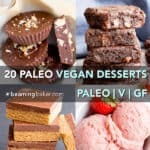 And they’d be called 4 Ingredient No Bake Peanut Butter Coconut Energy Bites. great for on-the-go, portable snacking and mealprep! What’s your favorite snack flavor combo? 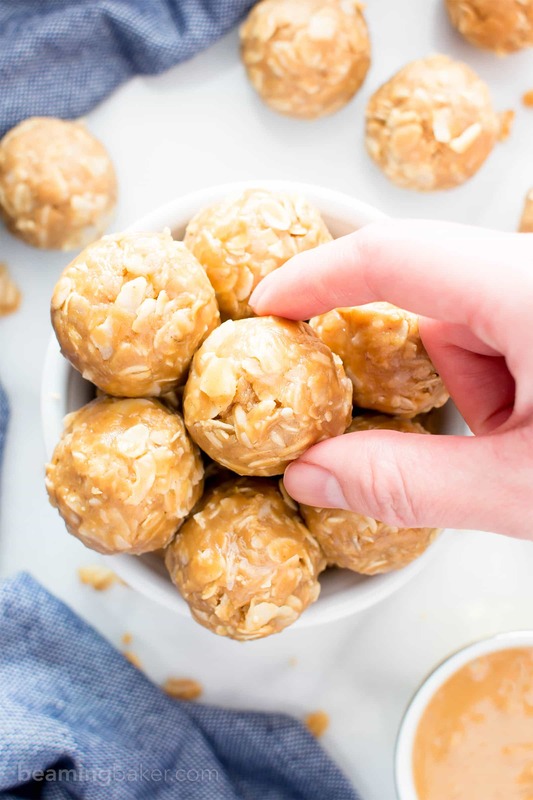 4 Ingredient No Bake Peanut Butter Coconut Energy Bites (V, GF): a quick ‘n easy One Bowl recipe for tasty protein-packed energy bites bursting with peanut butter and coconut! Vegan, Protein Rich, Gluten-Free, Dairy-Free, Whole Grain. In a medium microwave-safe bowl (large enough to add oats and coconut later), add peanut butter and maple syrup. Whisk together until well mixed. Heat in 20-second increments in the microwave until very warm and fragrant, and the mixture begins to dry out/look fluffy (about 4-7 rounds). Whisk in between heating increments. * Stovetop instructions in Notes. After whisking well, the texture will resemble caramel frosting. Add oats and coconut to the peanut butter mixture. Stir and fold until thoroughly combined and thickened. Using a cookie scoop, scoop and drop balls of this mixture onto the prepared baking sheet. I use this cookie scoop. Roll into balls. If needed, chill bites in the freezer until firm. Enjoy! Storing instructions below. 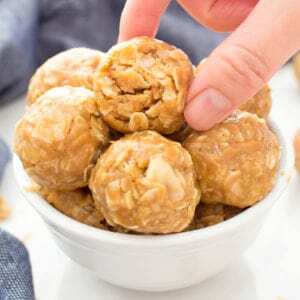 - Adapted from my 3 Ingredient No Bake Peanut Butter Oatmeal Cookies and my No Bake Peanut Butter Coconut Bites. 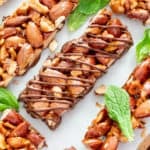 - More Peanut Butter recipes (all v, gf, df): 2-ingredient peanut butter fudge, no bake peanut butter oatmeal granola bars, no bake chocolate chip peanut butter coconut energy bites. 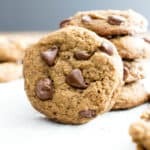 - Nutritional Info: is an estimate based on 25 total bites. 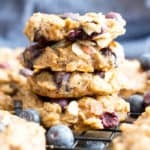 All you need are three ingredients to make one of my favorite snacks of all time: 3 Ingredient No Bake Peanut Butter Oatmeal Cookies (V, GF, DF, Protein-Packed). 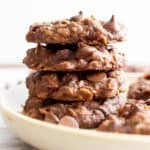 Yep, they totally taste like chocolate cherry pie in energy bite form: try my No Bake Cherry Chocolate Chip Chia Bites recipe and snack like a BOSS. Vegan, Gluten-Free, Dairy-Free, Whole Grain. I love these. Will make again, but can y,oh tell me how many calories, or points this would be. They look so delicious 🙂 I love how easy they are to make! What kind/brand of peanut butter did you use? 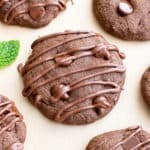 Thanks, I am making these this weekend! I don’t use a microwave, can these be done on top of the stove? Hi Kajal! Yep, that should work. Happy no-baking! ???? Thank you for this recipe. I love how it turned out – so does my husband! You’re so welcome, Ruth! 🙂 I’m so pleased that you both loved it. Hugs!